Where is Shipper Symposium going to be held? The Shipper Symposium will be held at the Four Seasons Resort and Club Dallas at Las Colinas in Irving, Texas. Monday, May 6, 2019-Wednesday, May 8, 2019. Registration will include attendance to all general sessions, breakout sessions and keynote sessions. Meals and networking events such as the Welcome Dinner and Charity Silent Auction Dinner are also included with registration. 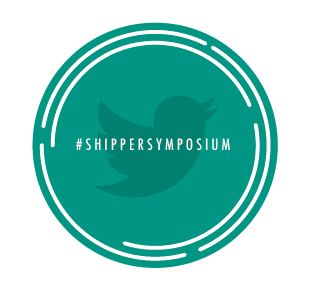 The Shipper Symposium is a symbol of educational excellence in the transportation industry. An audience including Fortune 500 executives are given the opportunity to learn from experts through thought leadership content, industry trend discussions, networking events and legislative updates. All aspects are geared toward strengthening relationships and helping operate the supply chain more efficiently while reducing total transportation costs. Will I be able to meet with other shippers? Absolutely! Networking is highly encouraged. Scheduled breaks and receptions will allow for time to meet with others during the conference. I want to play in the Charity Golf Tournament. Is this included in my registration? An additional payment of $200 is required to participate in the Charity Golf Tournament. This fee is not included in general registration. You can bring your own clubs or rent from the golf course for a fee of $90. NOTE: In order for the volume discount to apply, all attendees must register in the same transaction. How do I book my hotel reservation and what is the cost? for $230.00 per night (plus tax and resort fee). Please click HERE to book. Dallas-Fort Worth International Airport (DFW) is about a 15-minute drive from the Four Seasons Resort and Club Dallas at Las Colinas and Dallas Love-Field (DAL) is about a 20-minute drive. Will Transplace provide transportation to or from the airport to the hotel? No. Attendees need to book their own transportation to and from the hotel. Will I have an opportunity to meet one-on-one with a Transplace expert? Yes! There will be multiple opportunities to meet with a Transplace expert and participate in live TMS demos throughout the event. Who from my organization should attend? The Shipper Symposium is for supply chain professionals from CPG, chemical, automotive, oil & gas, retail and manufacturing companies who want to gain a wealth of industry knowledge and have the opportunity to expand their network. What is the recommended attire for Shipper Symposium? Conference attire is business casual. Men are encouraged to wear suits, no tie while women are encouraged to wear dresses, pants or skirts. Please be mindful that there will be plenty of night time events. Jeans are permissible for the offsite dinner on Tuesday evening. What do I need to do if I am interested in participating as a speaker or if I want to nominate someone to speak? I’m interested in sponsorship opportunities for the conference, what’s available? What if I still have unanswered questions about Shipper Symposium?